Description: Small golden natsume, decorated with three eggplants. Bottom decorated with nashiji and signed by artist Sanao. Matsuda Sanao currently works in Fukui prefecture, in Sabae. 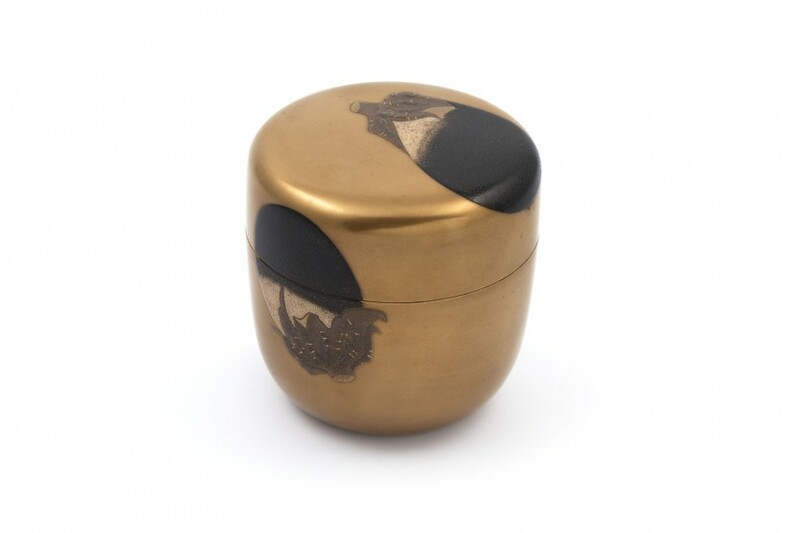 His father 秀悦studied at Zōhiko, the famed Kyoto company specialized in high-quality maki-e lacquerware, with origins of the shop going back as far as 1661. Matsuda Sanao studied under Terai Naoji (寺井 直次, 1912-1998), famous for his maki-e craftmanship and a living national treasure.